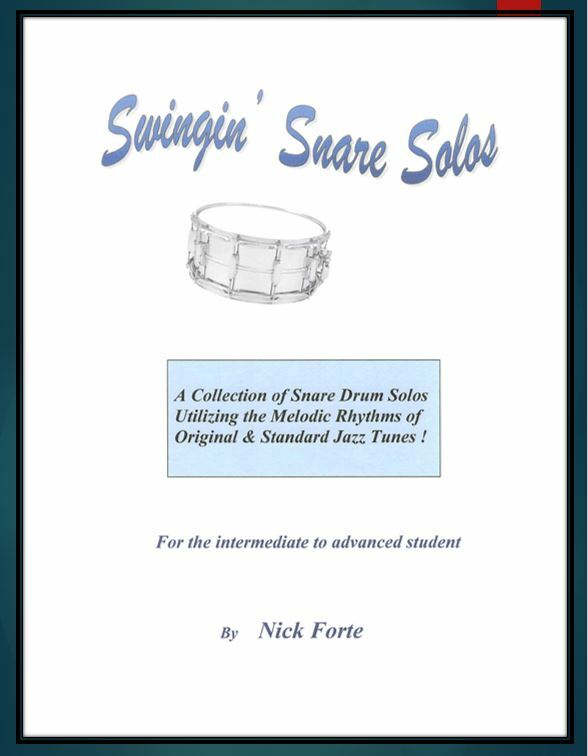 This book was written with two purposes in mind; to supply, the intermediate/advanced student, a collection of snare-drum solos that are at once interesting and challenging as well as incorporating important elements of the ‘Swing/Jazz’ idiom. * Further, the concept of playing typical Jazz rhythms is easier to grasp when applied to the snare (single-surface) drum. This leads to a more comfortable transition to the full (multi-surface) drum set. To this end, I’m planning a “companion” edition to this book which transforms these snare solos to ‘SWINGIN’ DRUMSET SOLOS’ – look for it in the near future! Most of the solos, in the book you are now holding, are based on actual tunes taken from the ‘standard’ Jazz/Swing-Band repertoire. If you are not familiar with this style of drumming, read over ‘Basic Jazz Concepts’ in the following section – it explains the general concept of Jazz-style notation and interpretation. Also, it’s a good idea to use your Bass and Hi-Hats (in the traditional way); this really helps with the connection to the full set and heightens your awareness of rhythmic phrasing. Since many Jazz tunes have a Latin rhythmic flavor (like ‘Night In Tunisia’ for example) I’ve included a few solos where a ‘straight eighth-note’ feel may be applied. This means, these solos could (and should) also be practiced using ‘legitimate’ snare drum articulations.